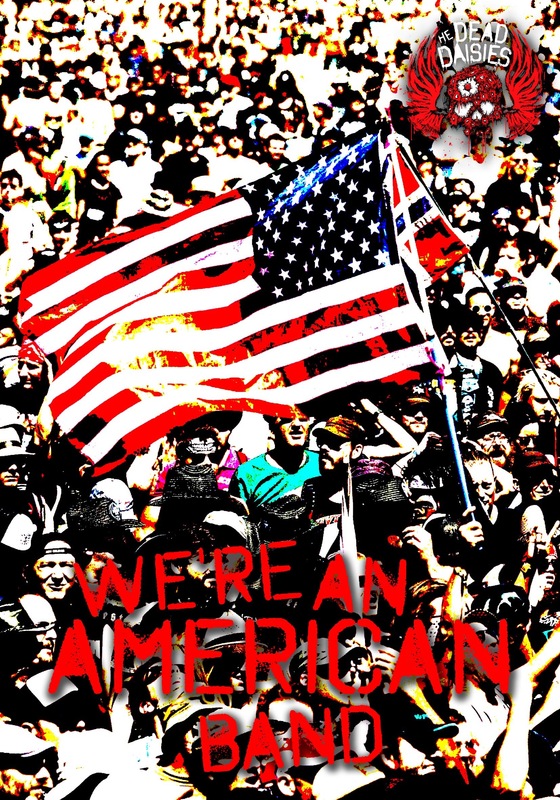 To that end, the band is proud to announce the release of an American Classic “We’re An American Band” in celebration of Independence Day and all it stands for. They will also drop a little video for it on July 4th. Fresh from their European Tour playing at some of the biggest Rock Festivals and Sold-Out headline shows, culminating in beyond capacity headline performances in Salzburg, Budapest, Prague & Japan, the band are making their way to the USA. Don’t miss them on their first-ever North American Headline Tour entitled “The Dirty Dozen” marching across the USA in August. The Dead Daisies’ latest live outing “Live & Louder” continues to garner explosive reviews around the world and is quickly becoming a fan favorite being viewed by them as “best sounding Live Album of all time”. Influenced by 70’s and early 80’s rock, The Dead Daisies sound is soulful and accessible – equal parts of Aerosmith, Bad Company and Foreigner: muscular vocals, bluesy riffs, big choruses, powerful melodies and strong hooks. With stellar musicianship and pulverizing live shows, fans worldwide are discovering the band that is bringing back Rock & Roll! The band features in their ranks some of the finest Rockers on the planet, among them one of the premier lead guitarists of this day and age, Doug Aldrich (Whitesnake, Dio). He completes a powerhouse line-up consisting of charismatic singer John Corabi (Mötley Crüe, The Scream), bassist extraordinaire Marco Mendoza (Thin Lizzy, Whitesnake), drummer to the stars Brian Tichy (Ozzy Osbourne, Foreigner) and bringing the thunder from down under, Australian rhythm guitarist and founder David Lowy (Red Phoenix, Mink). Grand Funk Railroad, sometimes shortened as Grand Funk, is an American rock band popular during the 1970s, when they toured extensively and played to packed arenas worldwide. David Fricke of Rolling Stone magazine once said, “You cannot talk about rock in the 1970s without talking about Grand Funk Railroad!” Known for their crowd-pleasing arena rock style, the band was well-regarded by audiences despite a relative lack of critical acclaim. The band’s name is a play on words of the Grand Trunk Western Railroad, a line that ran through the band’s home town of Flint, Michigan.